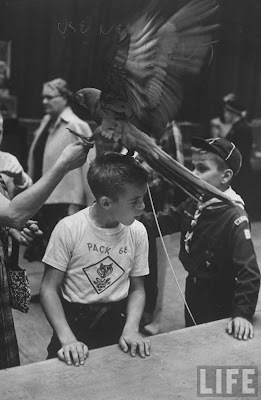 Young boy with macaw "Gorgeous George" walking on his head at the Tenth National Cage Bird Show. 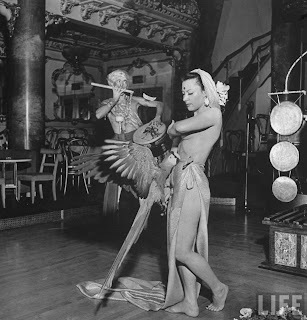 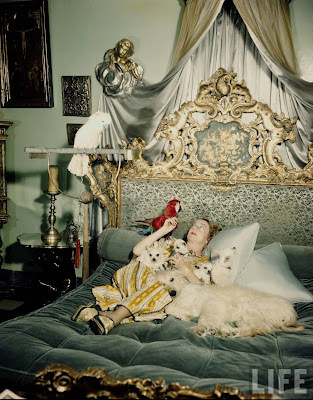 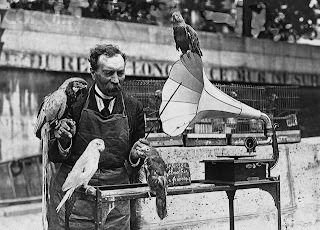 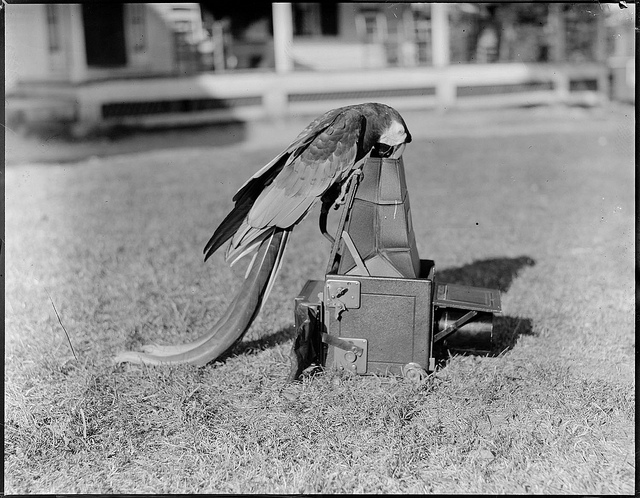 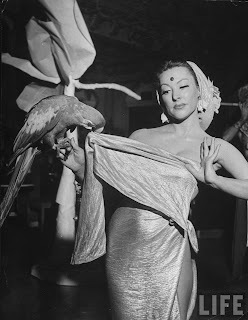 A night club entertainer performing with her sacred parrot at the Music Box. 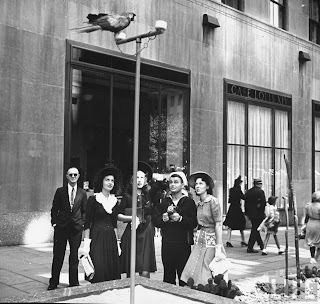 Tourists starring at a parrot being displayed outdoors. 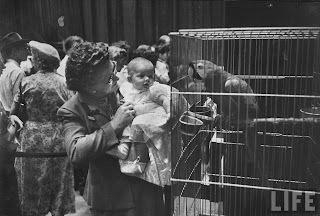 Woman showing a baby the Red Macaw at the Tenth National Cage Bird Show. 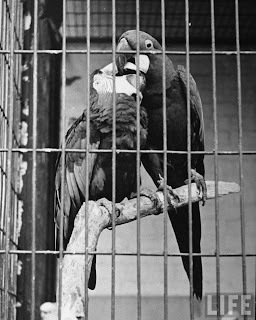 A male parrot feeding a female parrot during mating season at the Brookfield Zoo. 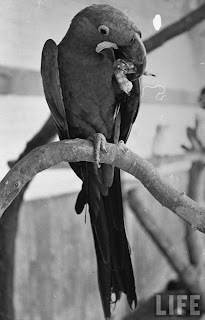 A macaw perching on a tree limb while eating at the Brookfield Zoo. 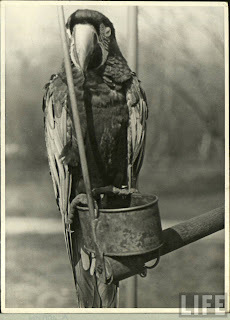 A macaw at the Brookfield Zoo. 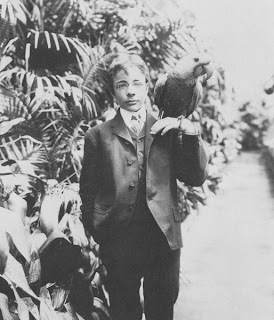 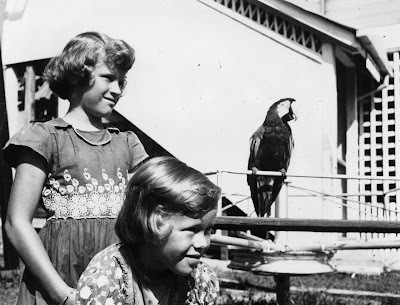 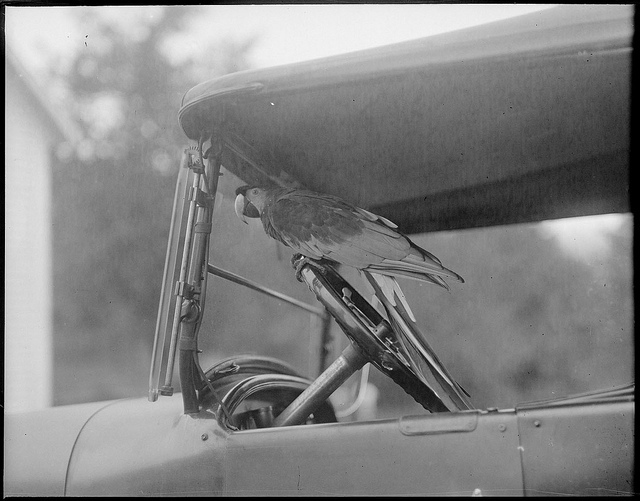 Missionary kids, Wallace and Ruth Wolff children, with parrot. 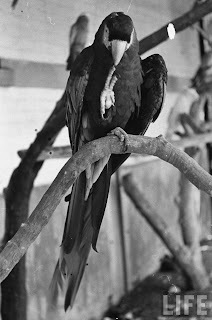 Date created: Rights: Copyright © Leslie Jones.